It seems like every time a political scandal ensnared in infidelity breaks out, the woman almost always receives some kind of sexist backlash. 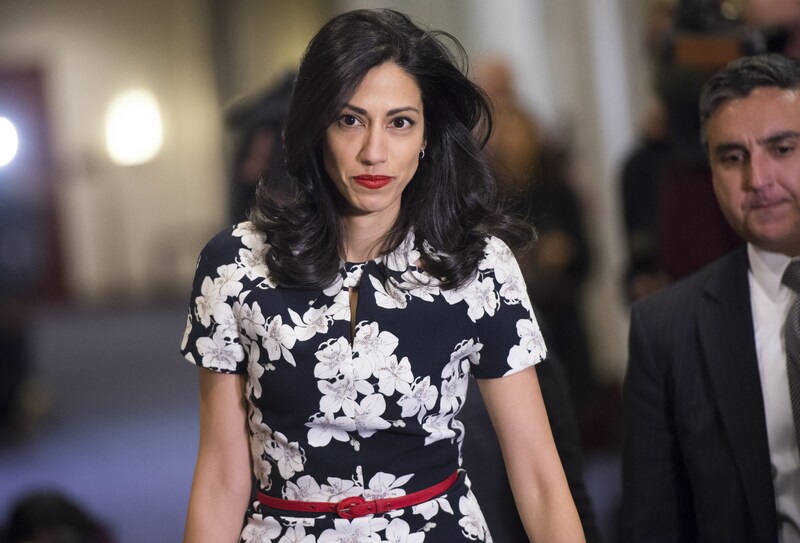 Amid the news of former New York Congressman Anthony Weiner and Clinton aide Huma Abedin's separation, announced on Aug. 29, there are already wildly sexist comments about Abedin taking up space on the internet. It was barely a few hours after the news of their separation broke out, and yet many people were focusing on the supposed role Abedin has played in Weiner's sexting habits. The separation came after Weiner was caught in his third such scandal so far. Abedin has faced questions regarding their marriage and why she chose to stay with Weiner since 2011, when news of his first scandal was made public. But the new comments surfacing add another dimension to a sexist agenda that always finds a way to blame women. One tweet blatantly exposes the double standard applied to men and women, as the comment called into question Abedin's role in leaving their son, four-year-old Jordan Weiner, alone with his own father while she apparently gallivanted on the Clinton campaign. Somehow, Abedin's parenting skills are being debated over Weiner's very questionable actions — snapping photos of his abs with his toddler son sleeping next to him. It's maddening to read comments like this, which attempt to characterize Abedin as a bad mother for leaving her son under the care of his father while she does her job. When is it going to be a common understanding that in a society in which both men and women are in the workforce, it's not always the woman's domain to take care of the family? Weiner's parenting is and will be under question, rightfully so, but there is no excuse for Abedin to face the same trial. These seven sexist tweets about Abedin in the wake of Weiner's embarrassing scandal are completely uncalled for. Not only do these examples represent a biased view of the scandal, but their rhetoric is clearly sexist. Abedin needs words of support right now, not sexist commentary for the questionable antics of her husband.